I created this HTML5-based application to launch simultaneously on the web site and the App Store. 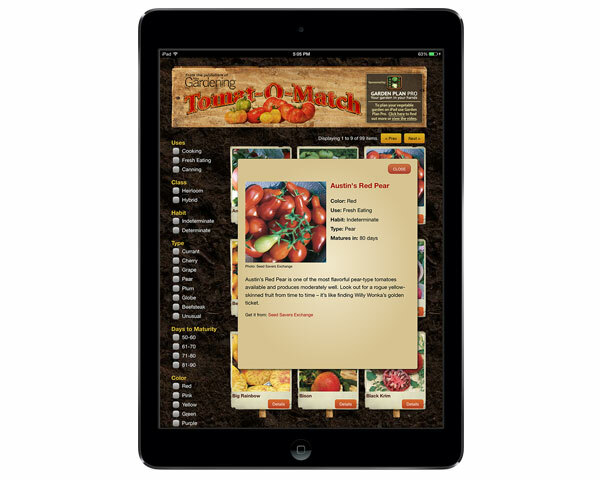 There are many varieties of tomato; this app allows you to filter by several criteria to find the tomato you are looking for. 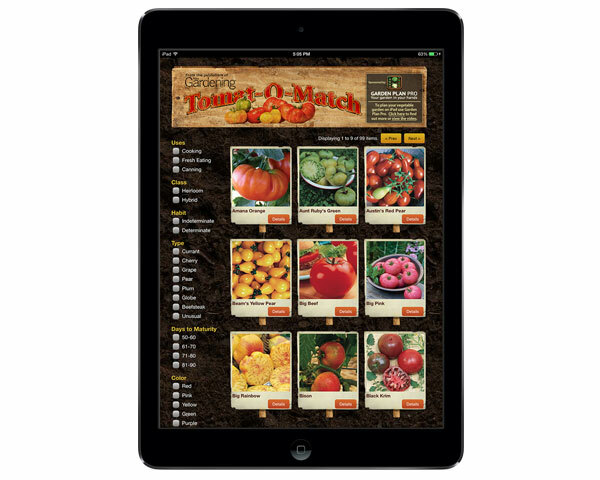 This app was also on the “Best Gardening Apps for the iPad” list from appPicker.com.